The force said he couldn't cut it but an Ottawa police officer has won back his job on appeal. One year after Const. Emmanuel Diafwila was told to quit or be fired for his "unsatisfactory work performance," the Ontario Civilian Police Commission ruled he is to be reinstated as a second-class constable. In a decision released Friday, the OCPC said the force didn't do enough to help him improve, despite hundreds of hours of coaching, mentoring and training. Performance review documentation was inconsistent, said OCPC, and Diafwila was treated unfairly. 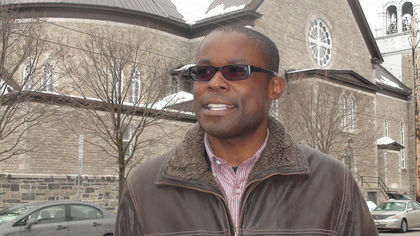 Although Ottawa police produced "an extensive amount of evidence" to back up their claims, "unfortunately, because the OPS did not strictly follow its own established policies for assessing (Diafwila's) work performance, it cannot be said that this standard of proof has been met," the OCPC ruled. As the first case of its kind to ever be prosecuted in Ontario, it sets a "strong precedent" for forces across the province. "He and his family are just completely thrilled. They're just enjoying the moment. We think it completely vindicates Manny," said Diafwila's lawyer, Paul Champ, on Friday. "He's always wanted to be a police officer. It's been his dream. Emmanuel Diafwila is precisely the kind of police officer we should have in Ottawa." Last spring, a Police Services Act proceeding heard Diafwila was "simply not suited to policing" and that "no amount of training and other assistance seemed to have the desired effect." The force had issues with Diafwila's report writing, driving, communication, investigation, English skills, credibility and other shortcomings, that to stay on the job would pose "a significant safety risk," to himself, fellow officers and the public. Diafwila was hired in April 2006, and spent time on the road in patrol, but it was decided he needed extra help. This led to him being put on administrative leave, where he's been with pay, since December 2010. Other concerns included an unauthorized person in his cruiser, failure to take proper notes, getting lost due to refusing to use his cruiser mapping system, and blowing through several stop signs. Champ hopes OPS looks at the decision as an opportunity for improvement. Ottawa police said they are reviewing the decision. "We need time to review it," said Ottawa police Insp. Joan McKenna. "We have to do our best to set him up for success." Diafwila would have a back-to-work plan before returning to the road. He declined to comment for this story, according to Champ. Diafwila at least was not charged with anything to do with dishonesty or abuse of power. the question as to WHO hired him and how was he able to get to be a cop in the first place. The Ottawa Police should however spend their time removing the worst abusers, the cops who are dishonest, who fabricate evidence and obstruct justice. who, by their failure to take action, truly deserve to be called "Rotten Cops". work as one of the Most Rotten Cops, an unconvicted criminal, with a licence to leave a trail of destruction, supported and promoted by his superior offices in the Ottawa Police who know full well the criminality of this "Rotten Cop".